Ch. Figeac stands out in some style in 2015. We have a soft spot for the wines of this estate and found the wines to be triumphant again this year. Fine, stylish and with generous gravitas, the wine immediately appeals in the glass with a tremendous dark purple colour. Lively, with spice evident on the nose and dancing on the palate, the highlight here is the really super-fine tannins which are just wonderfully integrated. The finish is tasty, harmonious and refreshing. We loved the tension and underlying power of the wine. There is the coolness shared by the 2015s, but slightly more restrained. It's a wine which makes you happy to taste, drink and enjoy. Really delicious and complete, t is very much Ch. Figeac. 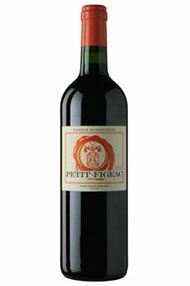 The 2015 Petit Figeac is a blend of 32% Merlot, 20% Cabernet Franc and 48% Cabernet Sauvignon, representing around one-third of the production. It has a perfumed blackberry, raspberry coulis and boysenberry-scented bouquet - fruit forward and very pure. The palate is medium-bodied with fine tannin, fresh in the mouth, dark berry fruit and a slight gravelly, almost Graves-Like note thanks to that Cabernet. Often overlooked, this is well worth seeking out. OK, OK. You've made your point. Yes you have nailed it again for the fourth year in a row. What would you like me to say? Yes, the wine you are making does surpass the place out the back where you once stabled your horses. This 2011 is fabulously defined, with the finesse and elegance of Michelangelo’s David. A masculine, yet ultimately feminine beauty in perfect equilibrium, harmony, power and grace. Please, please just make it affordable for us mere mortals this year. Simply magnificent. A very clean blackberry nose with some earthy notes of loam and soil leads onto a superb palate with intense forest fruits. The tannins are very elegant and supple. Beautifully crafted, dense and luscious, this is a Ch. Figeac of great finesse from Frédéric Faye under the eye of Michel Rolland. Horizontal Tasting of 2005s on 12/11/09. 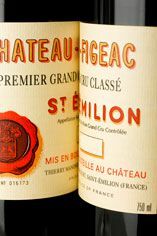 Because of its high proportion of Cabernets, Figeac is always the most restrained (and sometimes misunderstood) of the best St. Emilions, with a lacy quality in lighter years, but with a beguiling presentation in the best. In 2005 the wine has majestic harmony for, although the tannins are exceptional, they are also perfectly ripened. The finish is lifted by a creamy, fresh acidity whilst the multitude of scents and flavours of black fruit, leather, dried spice and liquorice swirl and ascend on the palate. This is an impeccable Figeac, almost accessible now, but glorious in 10 years (and for many more after that). Fabulously fine and ripe tannins coat this intense kernel of highly defined fruit. Screamingly good and in direct competition in quality terms with St Emilion rivals 10 times the price. The only downside is you cant really open it up now and get on with it...very frustrating! However have a little bit of patience and tuck it away with your other 05's and you're in for a total treat. Sumptuous! With a higher proportion of Cabernet varieties (66%) than any other St Emilion property, an elegant, structured style and a classic, grand château, Ch. 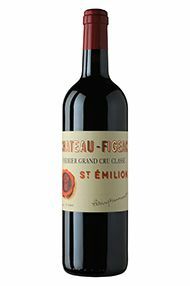 Figeac is justifiably known as the 'Médoc of St Emilion'. The dense, perfumed nose is rich and beguiling but the palate is far more restrained; very stylish with a good concentration of taut, elegant, black cherry fruit with tobacco and coffee hints, and lovely balance. The firm tannins and fresh acidity should ensure a long and delicious future for this very fine Figeac. 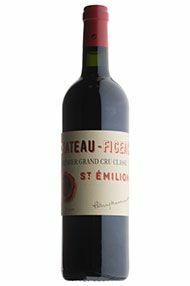 Following on from last year’s marvel, Figeac has done it again. A huge, brooding beast below the surface, it is almost impenetrable with a dark red/black colour and a viscosity to match. Having said that, this does not take anything away from the wine, it is incredible! Super-fine tannins, a sweet, silky, velvet-like mouthfeel, this has amazing complexity and a vibrancy that takes your breath away. It might even be better than 2009, if that’s possible. This should be a Right Bank First Growth. Brilliant. Deep and dark in the glass, 2014 Ch. Figeac is lively on the nose. Spices and red, with hints of blue fruit compete on the nose. The palate is clean, powerful and fruity. There is finesse here too, with fine tannins in particular. Well-textured and dense, the blackberry compote and blackcurrant fruit blend seamlessly into silky, grainy tannins and decent length. We are fond of this estate and the wines are a triumph again this year. The terroir of this great property really shines through, it is a great example of how unique Ch. 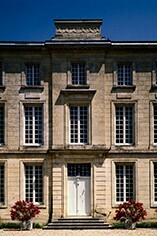 Figeac can be. They are really starting to find their form again. Figeac’s 2016 is cerebral. Deep, black cherry in colour, it has aromas of dark fruit, with a little spice, blue fruit and cedar. The palate is marked by a glorious freshness, a saline character and a crisp, juicy finish. Concentration and elegance: it’s focused with a long finish.